2015 is the year for massive change in our life. For once I’ll be able to have some time to myself while ALL the kids are in morning school. I’m embarking on a few new challenges in addition to the Weight Lost Challenge that I announced in October. I’m doing a de-clutter challenge and also a healthy eating one as I re-sync myself in plan with my healthy living motto. Why start on a De-clutter Challenge? I’ve been hording too many things in the house which has collected dust since they were purchased. Art material that I had purchased remain untouched as I haven’t really been doing much crafts with them as I’m not really an artsy person. Bento making equipment and Cookie cutters by the dozen which were bought to create lunch boxes for the kids have been under utilized. The boys do not fancy bringing lunch boxes to school and would rather purchase food from the canteen instead. I’ve decided to use the equipment to make fancy lunches or dinners for the kids instead since they return home for lunch on most afternoons. The kids have a lot of story books which have been passed down to them from friends with older kids or relatives. There are so many books that they have been cluttering our bookshelf which they do not read. I have yet to go through each of the books in the cupboard to see if they are still suitable for the kids to read or need to be given away to free up space in that cupboard. Why another Healthy Eating Challenge? Even though we have stepped up on eating more natural foods at home there is quite a lot that I have to learn. It has been difficult to lose weight last year due to the fact that I may not have been eating right for my body type. I will be actively tuning my diet to get the best out of it and get to my desired weight. The kids too will need to cut out more processed and junk foods from their diet as it will certainly be beneficial to them in the long run. If you do have any recommendations on healthy eating plans for kids/adults do drop me an e-mail or leave me a comment below . Last year I wrote down 10 things that I was looking forward to and in my 2014 reflection post I managed cross off many on that least and hope to do the same at the end of this year. Learn more dishes to try out with the kids. Going on a couple trip with R.
The kids being able to speak Mandarin and Cantonese more fluently. Engage the kids more in bible reading and learning about values. Do more crafts and outdoor activities with the kids. What resolutions have you set for 2015? I also need to purge things from our home. It’s so hard! The kids also have books they do not read that I want to give away. I don’t really have resolutions, I just want to purge and clean up our home. I am with you. I need to do some major decluttering too! Working on my basement as a matter of a fact. 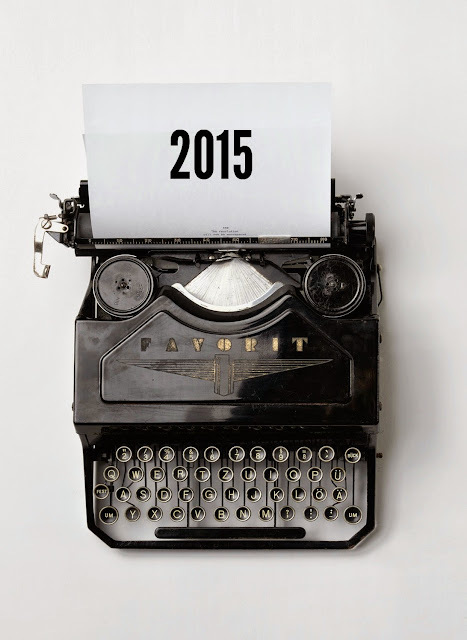 Working on writing down my resolutions for 2015! I love the idea of bettering myself for the start of a new year. Sounds like you have some well-thought out goals. Here’s to sticking with the promises we make to ourselves in 2015! Nice post, Dominique. I like the idea of having cookies for the kids when they return home for lunch on afternoons. Boys don’t like “pretty ones” when with other boys. Oatmeal cookies with raisons are pretty healthy, they don’t need as much sugar as most recipes would say. I have a wonderful office which has gotten so out of hand (junk room??) that it can’t be used for its purpose. I need to reclaim it, this should be the year. I’d like be using MY giant print typewriter. I like yours too. I wish you good luck on your resolutions. I hope that you meet all of them! You’re going to laugh, but the only thing I want to do in 2015 is learn to make REALLY good bread! It’s a small goal, but important to me. top of my list is losing extra pounds too. hahaha. Hope to make it. We are starting doing cardio through dancing starting next week. Good list there! I still have to finalize my resolution post. My list grew so long I just know I won’t be able to fulfill all of them. So I’m going over them again and again to identify which ones are the most important. Working on our resolutions is quite a challenge so I wish you luck on yours. Happy New Year! Wonderful resolutions. I’m simply working on doing “better” in every way. And already… that seems to be working. Yay me! Your reasons why and the full thought are refreshing. Visiting here from MakaKat’s Losin’ It! I say bring on the healthy eating challenges until they stick! It’s always a great way to keep yourself in check!